Headlight Tint Film. Headlight Tint Film - Gloss. Headlight Tint Film - Cat Eye. Headlight Tint Film - Frosted. 3 x A5 Sheets (150mm x 210mm) Headlight Tint Film. 30 x 120cm Clear Protective Headlight Tint Film Fog Tail Light Tint Car Van Wrap. Headlight Tint Film. Headlight Tint Film - Gloss. Headlight Tint Film - Frosted. Headlight Tint Film - Cat Eye. 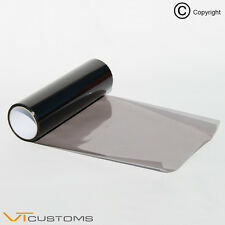 3 x A5 Sheets (150mm x 210mm) Headlight Tint Film. 30 x 120cm Clear Protective Headlight Tint Film Fog Tail Light Tint Car Van Wrap. Headlight Tint Film. Headlight Tint Film - Gloss. Headlight Tint Film - Frosted. Headlight Tint Film - Cat Eye. 30 x 100cm Orange Headlight Tinting Film Fog Smoke Tail Lights Tint Car Van Wrap. 30cm x 100cm Headlight Tint Film. 30 x 100cm Orange Headlight Tinting Film Fog Smoke Tail Lights Tint Car Van Wrap. 30 x 120cm Black Smoke Headlight Tinting Film Fog Tail Lights Tint Car Van Wrap. 30 x 120cm Red Smoke Headlight Tinting Film Fog Tail Lights Tint Car Vinyl Wrap. Headlight Tint Film. Headlight Tint Film - Gloss. Headlight Tint Film - Frosted. Headlight Tint Film - Cat Eye. 30 x 120cm Clear Protective Headlight Tint Film Fog Tail Light Tint Car Van Wrap. 3 x A4 sheets Orange Headlight Film for Fog Lights Tint Smoke Car Vinyl Wrap. 30cm x 75cm Headlight Tint Film. Headlight Tint Film. Headlight Tint Film - Gloss. Headlight Tint Film - Frosted. Headlight Tint Film - Cat Eye. 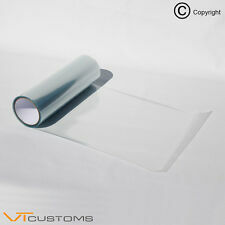 2 lots 30 x 75cm Light Smoke Headlight Tint Film Vinyl Fog Tail Light Wrap. Headlight Tint Film. Headlight Tint Film - Gloss. Headlight Tint Film - Frosted. Headlight Tint Film - Cat Eye. 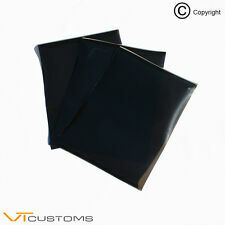 3 x A5 Sheets (150mm x 210mm) Headlight Tint Film. 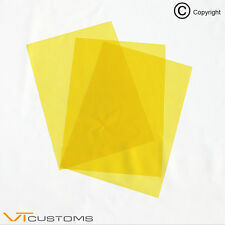 3 x A5 sheets - Golden Yellow Headlight Film for Fog Lights Tint Car Vinyl Wrap. Headlight Tint Film. Headlight Tint Film - Gloss. Headlight Tint Film - Frosted. Headlight Tint Film - Cat Eye. 30 x 100cm Orange Headlight Tinting Film Fog Smoke Tail Lights Tint Car Van Wrap. 30 x 120cm Red Smoke Headlight Tinting Film Fog Tail Lights Tint Car Vinyl Wrap. These will fit any facelift 2013-2017 MK7.5 Ford Fiesta. 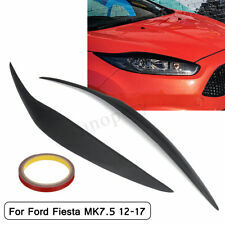 Resin Car Headlight Eyebrows Eyelids For Ford Fiesta MK7.5 12-17 Matte Black. For Ford Fiesta facelift MK7.5 2012-2017 0r MK8 2013-2016. 1 Pair x headlight eyebrows. Color : matte black. High quantity resin,UV-protected coating, 100% weather proof. Carbon Fiber Car Headlight Eyebrows Eyelids For Ford Fiesta MK7.5 2012-2017. For Ford Fiesta facelift MK7.5 2012-2017 0r MK8 2013-2016. 1 Pair x headlight eyebrows. Color : Carbon Fiber Color. Material : Carbon Fiber. Upper and lower eyebrows for the facelift ford fiesta MK7.5 2013-2018 in White Gloss.THESE FIT ON THE BONNET AND BUMPER NOT THE HEADLIGHT. 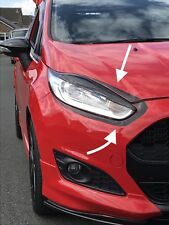 Upper and lower eyebrows for the facelift ford fiesta MK7.5 2013-2018 THESE GO ON THE BONNET AND BUMPER NOT THE HEADLIGHT. Supplied in 4 pieces to go around both headlights. These come in a high quality vinyl Gloss black. Adds to the meaner front end look. We also have these available in Red Gloss and White Gloss. Please note the main headlight brows are available in my other items. Resin Car Headlight Eyebrows Eyelids For Ford Fiesta MK7.5 12-17 Matte Black. For Ford Fiesta facelift MK7.5 2012-2017 0r MK8 2013-2016. 1 Pair x headlight eyebrows. High quantity resin,UV-protected coating, 100% weather proof. YELLOW HEADLIGHT TINT 30CM X 200CM - TOP QUALITY. FLORESCENT YELLOW HEADLIGHT TINT FILM FULL ROLL. Very easy to apply. OEM quality fit and specification for VW T5, T5.1, T5GP, T6 Barndoor only. They are injection moulded to OEM quality specification, which gives a brilliant fit over the existing brake light. This brake light lens will fit onto your existing 3rd brake light. This car headlight tint film make your car more cool. It's easy to install. The protective film is attached to the lamp. Excellent resistance to debris hitting ability, astonishing, paint protection. Headlight Tint Film - Gloss. 30cm x 75cm Headlight Tint Film. Headlight Tint Film. Headlight Tint Film - Frosted. Headlight Tint Film - Cat Eye. 2 lots 30 x 75cm Light Smoke Headlight Tint Film Vinyl Fog Tail Light Wrap. 30cm x 120cm Headlight Tint Film. Headlight Tint Film. Headlight Tint Film - Gloss. Headlight Tint Film - Frosted. Headlight Tint Film - Cat Eye. 30 x 120cm Clear Protective Headlight Tint Film Fog Tail Light Tint Car Van Wrap. Headlight Tint Film. Headlight Tint Film - Gloss. Headlight Tint Film - Frosted. Headlight Tint Film - Cat Eye. 30cm x 100cm Headlight Tint Film. 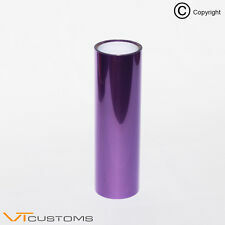 30 X 100cm Pink Headlight Tint Film Car Fog Light Vinyl FREE SQUEEGEE. For Ford Fiesta facelift MK7.5 2012-2017 0r MK8 2013-2016. Carbon Fiber Car Headlight Eyebrows Eyelids For Ford Fiesta MK7.5 2012-2017. 1 Pair x headlight eyebrows. Color : Carbon Fiber Color. Material : Carbon Fiber. Headlight tint film at 30cm x 50cm. 1 x tint applicator tool. GOLDEN YELLOW HEADLIGHT TINT FILM. Removable without damaging your lights and no adhesive residue to clean up. Headlight Tint Film. Headlight Tint Film - Gloss. Headlight Tint Film - Frosted. Headlight Tint Film - Cat Eye. 3 x A4 Sheets (300mm x 210mm) Headlight Tint Film. 30 x 120cm Clear Protective Headlight Tint Film Fog Tail Light Tint Car Van Wrap. Headlight Tint Film. Headlight Tint Film - Gloss. Headlight Tint Film - Frosted. Headlight Tint Film - Cat Eye. 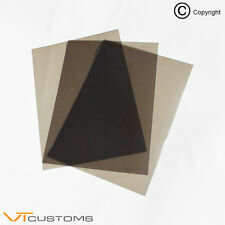 3 x A4 Sheets (300mm x 210mm) Headlight Tint Film. 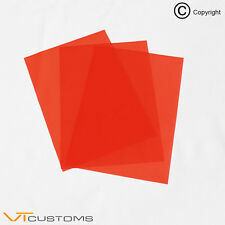 3 x A4 sheets Orange Headlight Film for Fog Lights Tint Smoke Car Vinyl Wrap. 30cm x 120cm Headlight Tint Film. Headlight Tint Film. Headlight Tint Film - Gloss. Headlight Tint Film - Cat Eye. Headlight Tint Film - Frosted. 30 x 120cm Red Smoke Headlight Tinting Film Fog Tail Lights Tint Car Vinyl Wrap. Headlight Tint Film. Headlight Tint Film - Gloss. Headlight Tint Film - Frosted. Headlight Tint Film - Cat Eye. 30cm x 100cm Headlight Tint Film. 30 x 120cm Black Smoke Headlight Tinting Film Fog Tail Lights Tint Car Van Wrap. Supplied in 4 pieces to go around both headlights. These come in a high quality vinyl Gloss Red. Adds to the meaner front end look. We also have these available in Black Gloss and White Gloss. 30cm x 120cm Headlight Tint Film. Headlight Tint Film. Headlight Tint Film - Gloss. Headlight Tint Film - Frosted. Headlight Tint Film - Cat Eye. 30cm x 120cm Light Smoke Black Tint Film Headlights Tail lights Car Vinyl Wrap. 30cm x 120cm Headlight Tint Film. 30 x 120cm Black Smoke Headlight Tinting Film Fog Tail Lights Tint Car Van Wrap. 30 x 120cm Red Smoke Headlight Tinting Film Fog Tail Lights Tint Car Vinyl Wrap. Headlight Tint Film.